The Famed Arapeen OHV Trail System. 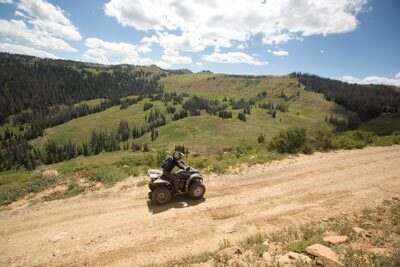 High Mountain Riding for ATVs and Side by Sides. "Don’t Ride in a Park... Ride the Arapeen!" "As seen on multiple Outdoor TV Shows!" Summer is coming... Plan a ride before trivial things high-jack your schedule! While Supplies Last- Don't miss out! Deluxe Trail Map Best Offer! Size: 24" x 36" - easy to read! "It costs less than a good Truck Wash!" Where is the Arapeen Trail? 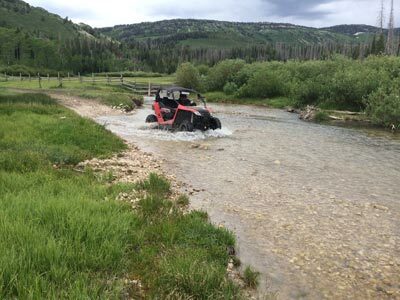 The Utah Arapeen OHV Trail System is located 2 hours south of Salt Lake City on U.S. Highway 89. 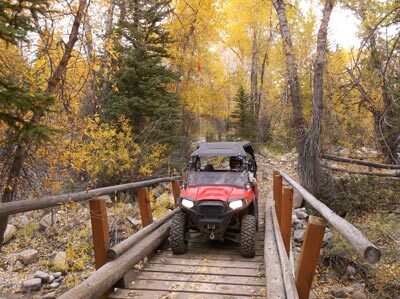 The trail can be accessed from one of seven canyons in the Sanpete Valley, near the towns of Fairview, Mt. Pleasant, Spring City, Ephraim, Manti, Sterling, and Mayfield, Utah. All the trails and settlements are interconnected. You can ride up a canyon from one community, travel along the “Skyline” at the top of the mountain, and then descend another canyon to a different town. The Arapeen Trail is a great place to ride if you want to avoid the crowded canyons closer to urban areas. 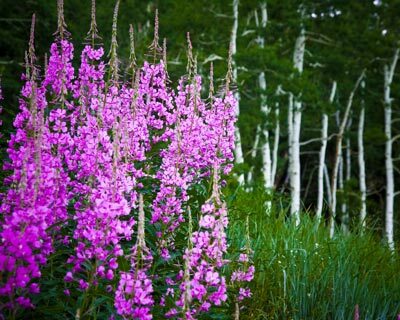 The Trail System is named after the famed Chief Arapeen, a 19th Century Native American Chief who lived in the Sanpete Valley. Arapeen’s brother and predecessor, Chief Walkera, invited Pioneers to settle the valley in 1849. In 1856, a year after Walkera’s death, Chief Arapeen deeded the entire Sanpete area to Brigham Young and the Church of Jesus Christ- which led to European settlement of the Valley. Buy Map Now- Free Shipping! The Arapeen Trail is a high-mountain trail. 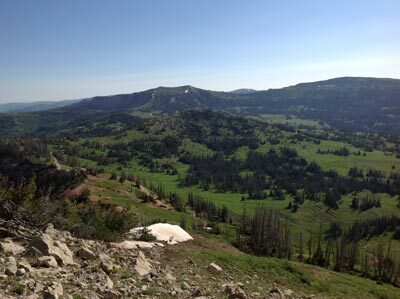 It begins in the Sanpete Valley, at an elevation of around 6,000’ above sea level, and summits at just under 11,000’. Because of the altitude, the trail is only open during summer months. I recommend planning your trip sometime between July 1st and October 15th. 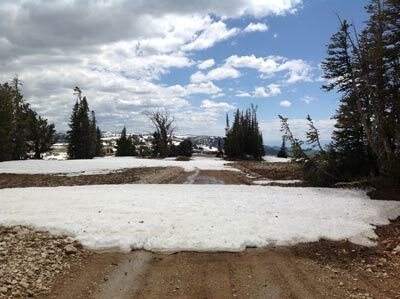 You can access the trail before July, however trail closures from lingering snow will be encountered. Suggested 'Early Access Routes' (Memorial Day - Jun 30th) are highlighted on the Arapeen Trail map. Trail #1, also known as Skyline Drive, runs along the spine of the mountain range and is the last route to be completely free of snow. The highest point on the Skyline Drive is 10,897’ in elevation. While traveling the mountain top you can often see down both sides of the mountain into the valleys below. 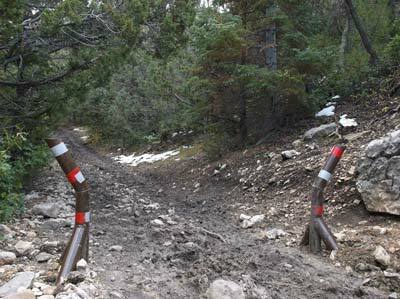 Most of trail #1 is open by July 1st, but not always. 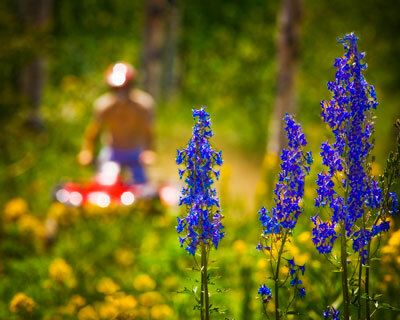 July is a great time to ride- it’s when the summer wildflowers are at their peak. 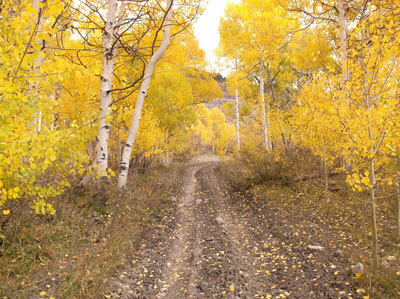 If you prefer Autumn Leaves, September 20th - Oct 5th is the best time to ride. 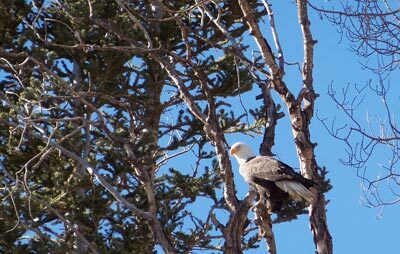 WILDLIFE: Along the trail look for Deer, Elk, Wild Turkey, Squirrels, Grouse, Beaver, Porcupine, Badger, and Birds. 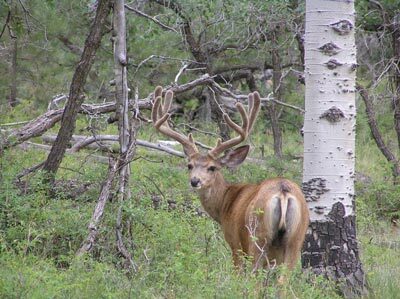 Bear, Cougar, Bobcat, Fox, and Coyote are also found in the forest, but are very elusive. 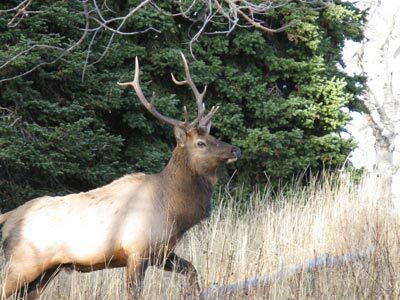 Your best chance of catching a glimpse of wild animals is 1-2 hours after sunrise and before sunset. Not much will be seen in the middle of the day. Also watch for sheep and cows lazily grazing along the way. Evening is a great time to ride the trails! Even when the temperature is 90+ degrees in the valley, it may be cool at altitudes near 10,000 feet in elevation. Be prepared for occasional daytime temperatures in the 50’s and 60’s, especially when summer thunderstorms are present. Bring a warm jacket, gloves, hat, and rain gear. 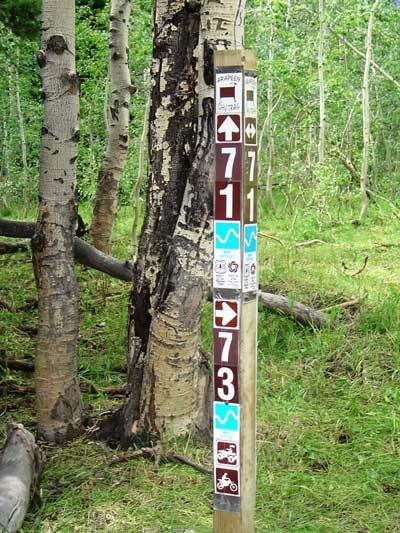 Trail Marker Signs are found throughout the system to help you find your way. These signs correspond with trail numbers on the map. It’s also wise to carry a GPS unit to keep you from getting lost- the trail system is enormous and remote. While most of the routes on the Arapeen are open to vehicles of all sizes, select trails are set aside for 50" and 66" machines, totaling about 65 and 77 miles, respectively. Size gates are located at trail heads of narrower routes. The Arapeen System also has a limited amount of Single Track for motorcycles. There's a Trail Level for Everyone! Not all trails on the Arapeen have the same Degree of Difficulty. 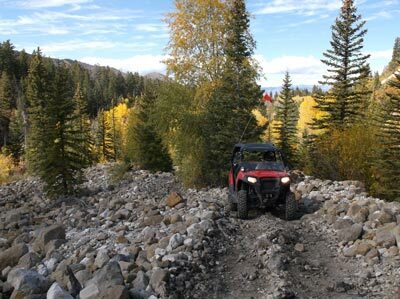 Some routes are easy and suitable for beginners (smooth surface forest road), while other routes are difficult and require a high level of skill (ruts, mud, rocks, and fallen trees). Whatever your trail preference... LEAVE THE PAVEMENT AND GET OUTDOORS! 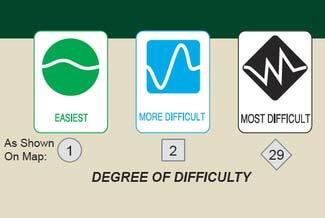 The background shape of the route number on the map generally identifies trail difficulty levels- circle routes are easy, square routes are more difficult, diamond routes are MOST difficult. Sign Posts along the route also show trail difficulty ratings. Be aware that trail conditions are always changing and can shift with the next rainstorm!